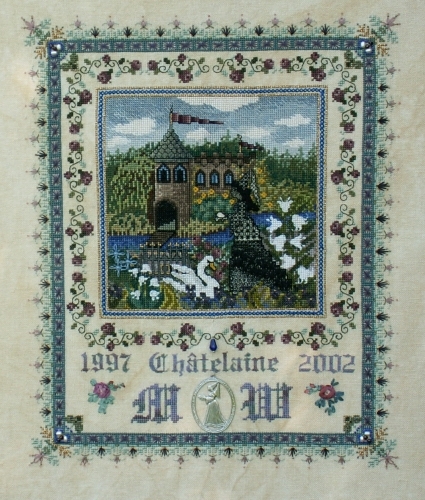 I made up this design in 2002 when celebrating my first “anniversary” of being 5 years in business. 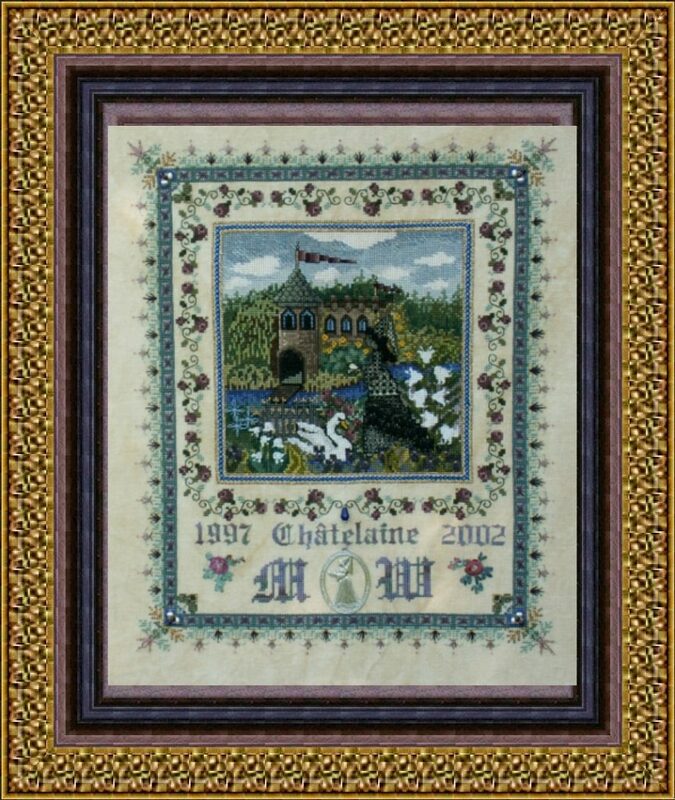 Lots of water run down the rivers since then.. and in this year 2017 I celebrate my 20th year of being “Châtelaine”. What started as a hobby-extension to say so is my life in the meantime ! I republish this early design now again — and hope you will enjoy to stitch it and make it your own with personalisation and added extras. You could make a marriage sampler from it – or any anniversary – the alphabet is added and some extra bits and pieces of ornaments to create your own “filling” for the empty space. The mentioned Pewter Chatelaine figure is not longer available ! The mere design size is 183 x 245 stitches.